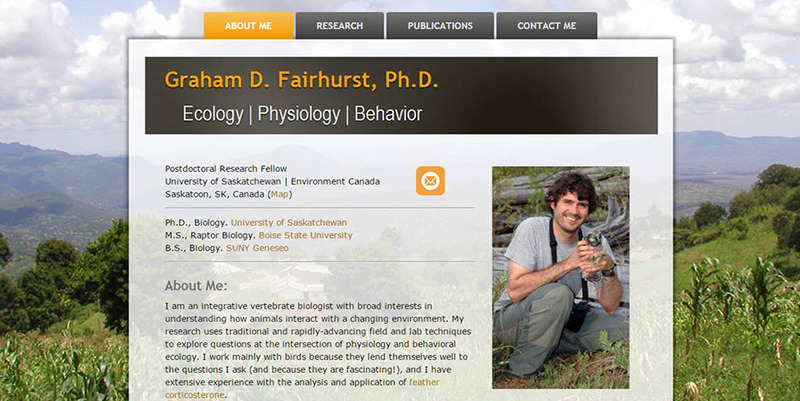 A completely custom site for a university professor. This site has a fixed background with a semi-transparent content area. Notice the hover text feature for the images on the home page. Custom Social Icons were developed for this site. The content includes an map embedded on the contact page.